Q: I’m continually plagued by headaches and have tried various over the counter and prescription medicines to no avail. I heard recently that a physiotherapist can help in resolving headaches. Is this true? Phil, 45. A: Headaches can become a common and debilitating part of life. There are many types of headaches and the usual first line of treatment in the management of headache symptoms is medication. Often though, pharmaceutical response is not enough to resolve the symptoms nor address the cause of a headache. Physiotherapy intervention can help in the resolution of a cervicogenic headache, that is, a headache that originates from the musculoskeletal structures of the neck. Cervicogenic headaches are a common type of headache but must be differentiated from other forms such as a vascular related headache. 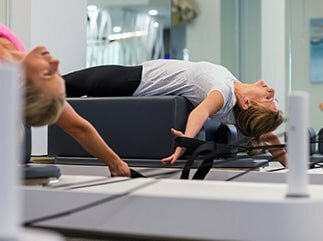 During certain neck movements or sustained postures, the joints, muscles, ligaments and nerves of the region are placed under stretching or compressive forces. These forces can be the result of trauma such as a whiplash incident or occur gradually over time such as in poor postures whilst sitting at a computer. Damage can occur to these musculoskeletal structures if the forces are beyond what the tissues can withstand and can lead to a headache. Cervicogenic headaches usually present as a constant dull ache, normally situated at the back of the head, although can also refer around the eyes, top of the head, forehead or ear region. Pain is usually felt on one side but can present with symptoms on both sides of the head or face. Often associated with the headache is neck pain, stiffness, and loss of movement. Occasionally patients may experience other symptoms such as light-headedness, dizziness, nausea and decreased concentration. The symptoms of a cervicogenic headache may be reproduced with palpation through the joints of the upper neck and surrounding musculature. One of the most common causes for cervicogenic headaches is poor posture. Prolonged positioning in a slumped posture, often when at the computer, driving, reading, or watching television, leads to neck and upper back stiffness, and muscle overload, tightness, and weakness. Refer to our article on appropriate posture and ergonomic set up in January’s newsletter to get a better understanding of how best to sit to avoid exacerbation of cervicogenic headaches. Once your physiotherapist has ruled out anything serious and established that your headache is being referred from a problem in your neck, there are several treatment options that can be undertaken to aid in the resolution of your symptoms. 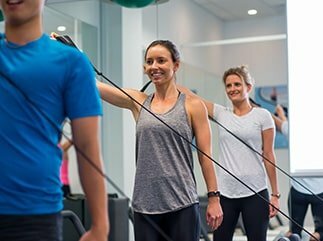 Some of these treatment options include: joint mobilisation, traction, soft tissue massage, dry needling, postural taping, education, activity modification, ergonomic advice, Clinical Pilates, and therapeutic exercises to improve strength, range of motion and posture. Should you suffer from headaches and are looking for both short and long term management solutions, then contact SquareOne Physiotherapy today to schedule an appointment.